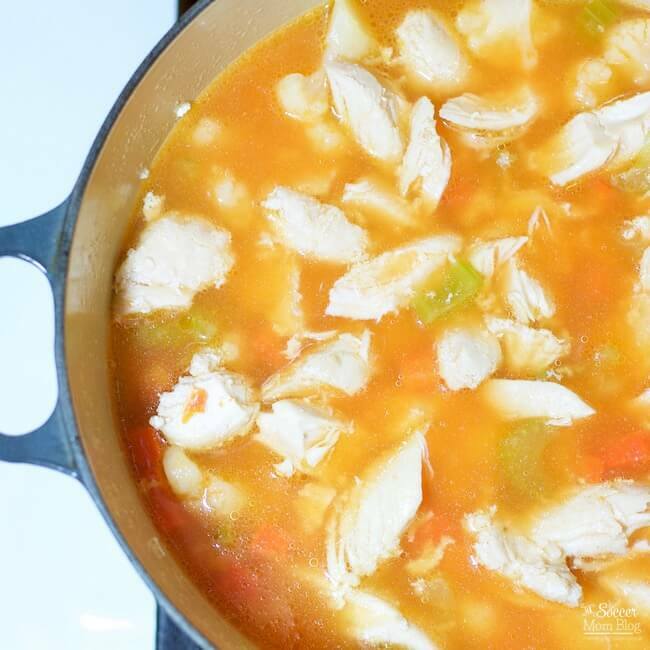 I’m teaming up with Kroger to share this easy Buffalo Chicken Soup recipe — perfect for nights when you don’t have a lot of time to cook. While our family loves to eat fresh veggies and proteins, sometimes on busy days we incorporate frozen options to get dinner ready faster. 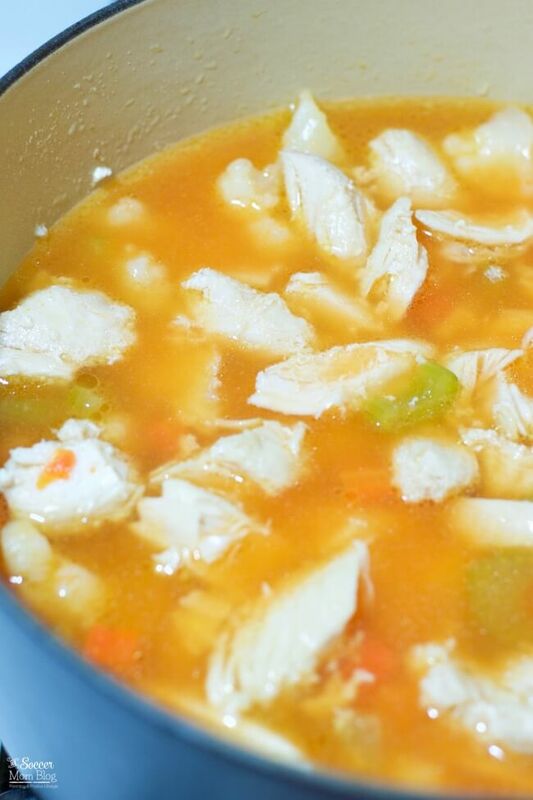 This Buffalo Chicken Soup combines both fresh and frozen ingredients for an easy and wholesome meal that is sure to be a hit! It’s an easy, set-it-and-forget-it recipe that will have dinner on the table in 30 minutes. 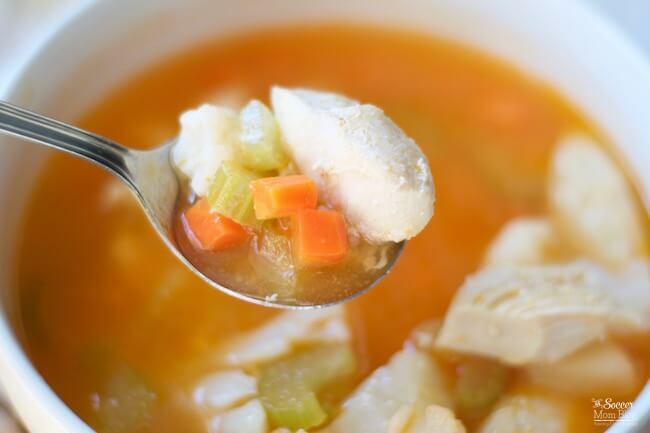 *We used our make-ahead freezer chicken soup as the base for this recipe. It’s perfect for meal planning and prepping to save both time and money! STEP ONE: Reheat freezer chicken soup base in a large stock pot according to directions HERE. 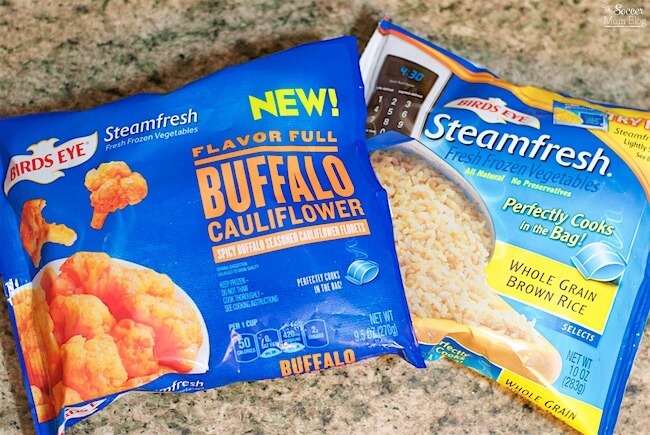 STEP TWO: Once soup is fully cooked, cut open the packages for your frozen Birds Eye Steamfresh Buffalo Cauliflower and frozen Birds Eye Steamfresh Whole Grain Brown Rice and pour contents into the hot chicken soup. The soup will be hot enough to warm the frozen ingredients. STEP THREE: Add 2 tablespoons buffalo wing sauce of your choice and stir to mix. You may add extra buffalo sauce if you prefer your soup spicy. Serve and enjoy! The Birds Eye products used in this recipe are available in the freezer section of your local Kroger. Don’t miss more easy recipes and coupons at Freezer Fresh Ideas!